Candidates appearing for final year or final semester of their graduate degree examination in academic year 2017-18 are also eligible to appear for the admission process. Such candidates, if called for interview, should submit the copy of admit card or a letter from the principal of the college where they are studying to that effect. Such candidates if finally selected at XISS, Ranchi must clear their graduation examination with 55% marks in aggregate (50% for SC/ST) by August 2017. Step 2 : visit www.xiss.ac.in OR forms.xiss.ac.in and register for the programs of XISS, Ranchi. GD/PI Centres Ranchi, New Delhi, Kolkata, Bengaluru, Mumbai. Registration Fee can be paid through online transactions using Credit / Debit / ATM cards / Online Banking. 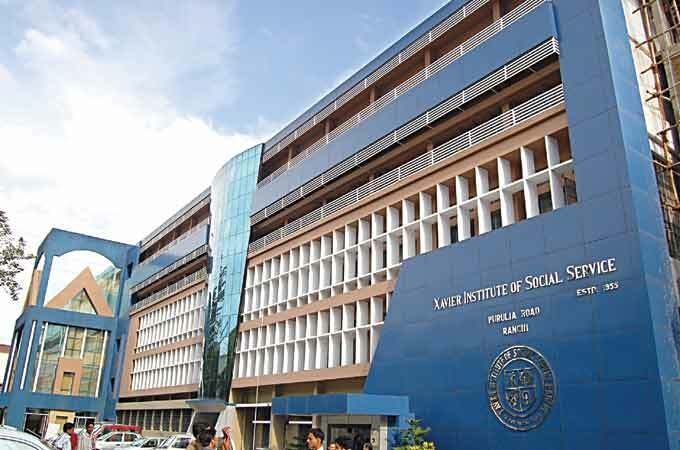 The fee can also be paid by Bank Draft drawn in favour of‘Xavier Institute of Social Service’, payable at Ranchi.